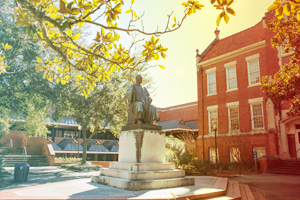 The University of Florida is offering free tuition for spring and summer 2018 terms to eligible undergraduate students displaced from colleges and universities in Puerto Rico or the U.S. Virgin Islands listed on this site. These students may enroll as non-degree seeking students in courses offered online. Who is eligible to enroll in online courses as a displaced student? Undergraduate students displaced from a college or university in Puerto Rico or the U.S. Virgin Islands and who are also U.S. citizens or permanent residents. Students will be expected to provide some evidence they were/are enrolled in one of the schools on the list below. Examples of acceptable evidence include a student ID card, a bill from the school for housing and/or tuition, a transcript, etc. The University of Florida is offering free tuition and fees for the Spring and Summer 2018 terms for courses offered through this program. What programs are available through UF Online? 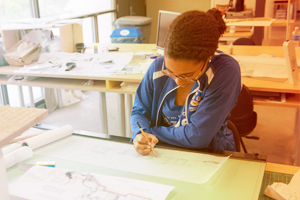 UF Online offers several four year degree programs. What courses are available online through this program? The Course Listings for Summer 2018 will be updated on a regular basis. Continue to refer to this list in your application process. May students continue beyond Spring and Summer 2018 terms? Yes, students may also continue as non-degree seeking, paying the UF Online in-state rate, with no additional documentation required through the Fall 2018 term. Is it possible to enroll as a degree-seeking student? Yes, upon request, effective Fall 2018, undergraduate students from Puerto Rico and/or the U.S. Virgin Islands will be considered for degree-seeking status in UF Online at normal UF Online tuition (75% of the residential in-state tuition with reduced fees). 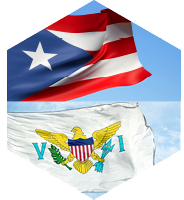 Applying as a degree-seeking student requires being in good standing at 4-year colleges and/or universities in Puerto Rico or the U.S. Virgin Islands and providing appropriate documentation by August 30, 2018. UF will evaluate what credits can be transferred from the student's former institution to the student's UF transcript. 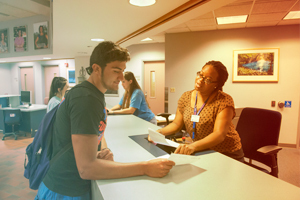 What credits earned at UF will transfer to other institutions? Credits earned at UF may be transferred to any other public institution in the state of Florida. Courses in this online program are part of the statewide common course inventory and transfer between colleges/universities within the state. 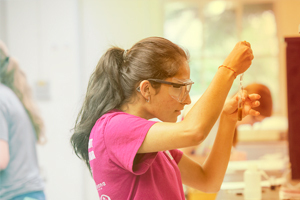 UF credits earned may be transferable to universities in Puerto Rico, U.S. Virgin Islands, and other states, but that determination will be made by the individual universities. What are the computer requirements for completing online courses? Can I be considered for federal financial aid eligibility if I am a non-degree student? No. You must be accepted for enrollment as a regular degree-seeking student in an eligible UF degree program to obtain federal financial aid. Can I be considered for federal financial aid eligibility if I become a degree-seeking student? Are there any academic requirements needed to participate in this program? In addition to proof of enrollment at one of the institutions on the approved list, students should carefully check the pre-requisites for classes in which they are interested. This will ensure students are academically prepared to succeed. Yes, students will be expected to purchase required textbooks for all courses taken in this program. Can I use campus facilities while participating in this program? Schedule of Courses — select "UF Online Courses (Limited to UF Online admits.)" for the UF Online schedule. Are there additional resources for displaced graduate students? For more information on the opportunities available to displaced graduate students, please visit our graduate students page.